Coffee isn’t new to the Pacific Northwest. In fact, the modern-day coffeehouse was kind of born here. 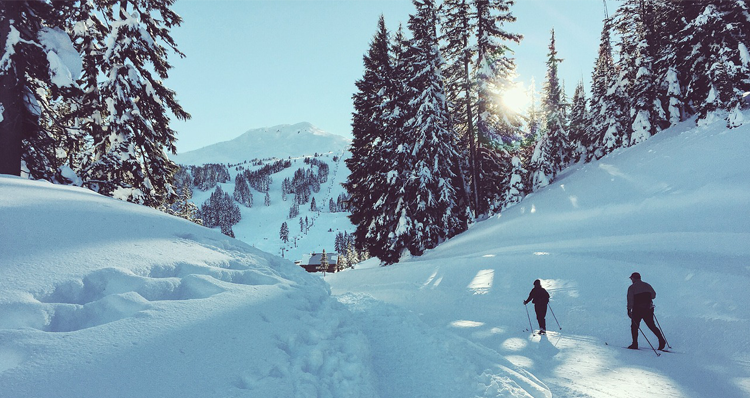 Combine that history with Bend’s characteristic charm and love for supporting local, and you get some of the best coffee destinations in the region. To help you hunt down the best of the best, we created a list of top shops. From local roasters and homemade chai to bikes and books, these spots combine cozy atmosphere and outstanding brews to prove Bend knows coffee. Happy sipping! 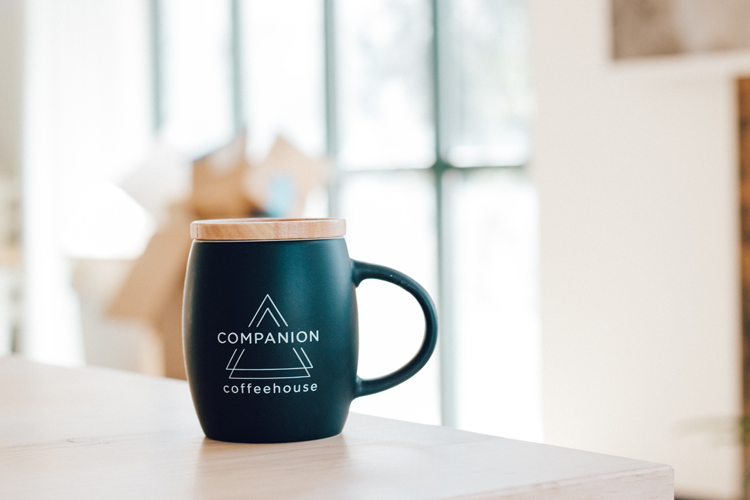 From the team behind the family-run Bad Wolf Bakery & Bistro in Downtown Bend, Companion serves coffee roasted by Megaphone Coffee Co. with coffee syrups made from scratch alongside the famous scones, cakes and pastries of Bad Wolf. Run by a bright and smiling team of coffee lovers and set inside a bright and charming coffeehouse, it’s the perfect place for working, conversing and just plain coffee drinking! Thump was born right here in Bend and has recently grown to include two Bend coffee shops, two Denver, Colorado shops, and a Bend roastery coming in 2018. Driven by the unique experiences and the outdoors of Oregon, they strive to roast and brew their coffees with that same passion. And their team of adventure lovers and latte artists proves that dedication day in and day out. For years, owners Kris and Laura dreamed of owning a neighborhood coffee shop. At Wild Roots, they get to share their passion for Bend, for coffee and for local makers, bakers and artists. Stop in for a cup brewed from Stumptown Coffee Roasters and a pastry from Bend’s own Fearless Baking. Photo courtesy of Megaphone Coffee Co. 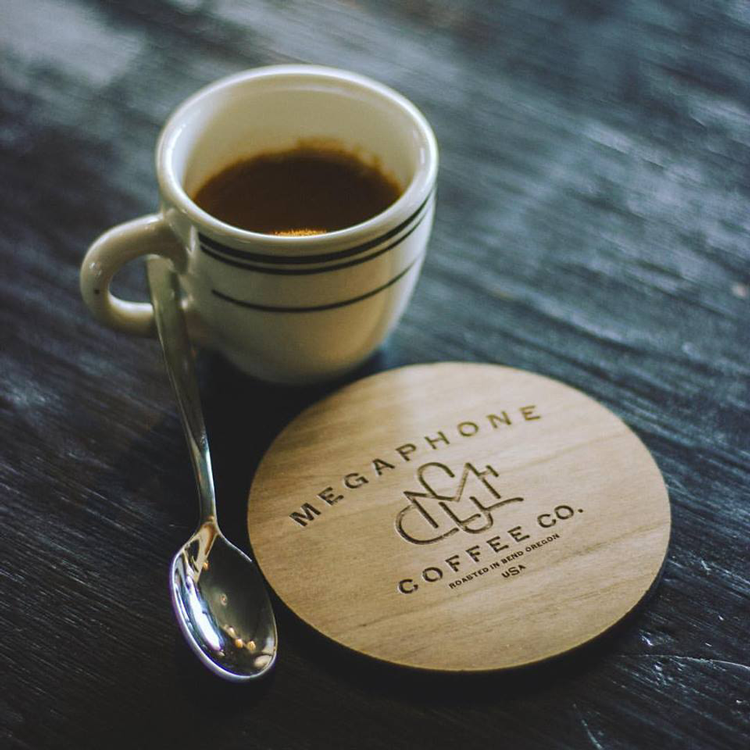 Featuring coffees roasted in-house, handcrafted drinks and fine retail goods, the flagship Megaphone coffee shop is housed in a bright, trendy and welcoming space. Stop in once, sip your first cup of Megaphone, and you’ll want to come back every day! Luckily, you can take home bags of beans — and show your love with labeled mugs, sweatshirts, t-shirts and more. This small, family-run roastery makes their home in Downtown Bend. Alongside a menu of made from scratch pastries and delectable sandwiches, you can order craft espresso drinks or simple coffees, then buy a bag to brew at home. 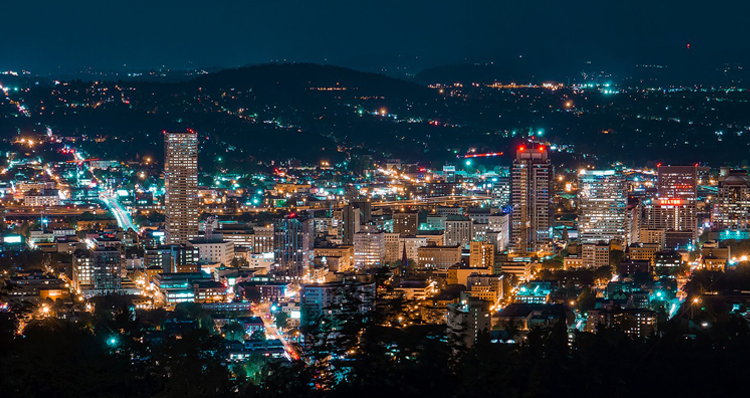 Crow’s Feet is the spot for everyone who loves local makers, brewers, bakers, roasters and candlestick makers. And biking, skiing and beer drinking, of course. Inside their Downtown shop, you’ll find custom-built bikes and an impressive inventory of skis, snowboards, boots and other outdoor gear. Stop in for a coffee brew in the morning and a beer brew in the evening! 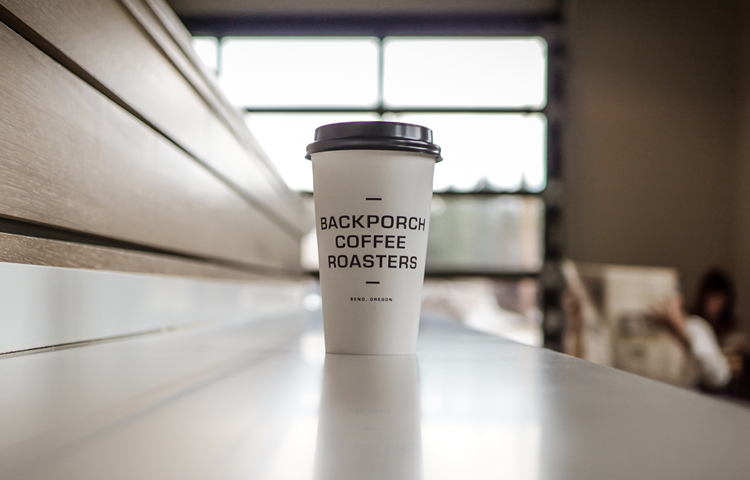 In 2006, Backporch opened their doors in Bend with the goal of sourcing direct trade, micro-lot and estate coffee of the highest quality. Today, they stay true to that original goal and roast their delicious, sustainable, small batch coffees 3 or 4 days every week. Served inside a cozy, modern industrial shop, they offer the perfect combination of great coffee and friendly atmosphere. Bluebird is the epitome of a charming, local, neighborhood cafe. 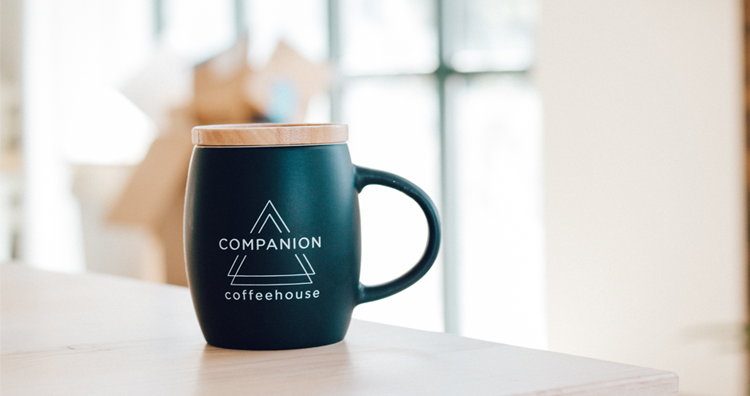 They serve up tea, coffee, crafted espresso drinks and a stock of clever mugs you’ll want to take home. Featuring soups, quiches and pastries from other local Bend shops, you’ll have plenty of fuel for your coffee date or your “work from coffee house” day! Just south of Downtown, Palate brews coffees and espresso from Portland-based Coava Coffee Roasters inside a beautiful rustic and art-filled space. With the perfect patio for the summer months and the coziest lodge atmosphere during the winter, it’s the ideal coffee shop year-round. Book lovers, rejoice! 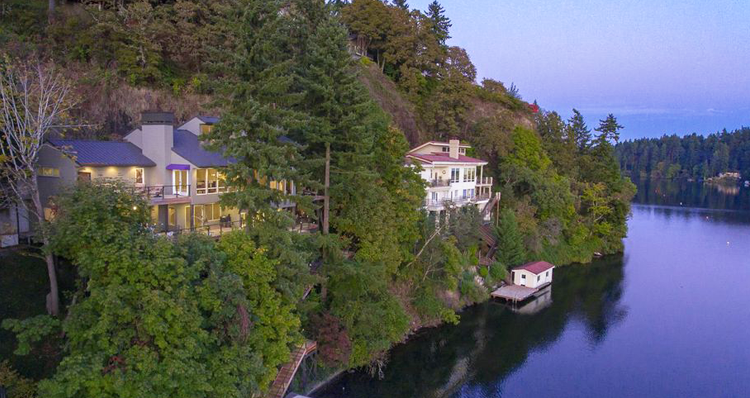 Bend has the perfect spot to sip coffee and celebrate your love of literature. Dudley’s is a bookstore, a cafe, and your new favorite place to read! Pulling shots from a time-honored La Marzocco Linea, you’ll get simple coffees, teas and snacks to enjoy while shopping selections of both new and used fiction and nonfiction literature. Exposed red brick, shelves stacked with books and cozy furniture — this will be your new favorite living room. If there’s homemade chai on the menu, you know Bend is going to love it. Since opening in 2009, Bom Dia has created a space for students to work, neighbors to meet, and the community to come together, enjoy life, and support local. Featuring bakery treats from spots all over Central Oregon, you can grab a Fearless Baking pastry and a sip a locally roasted coffee at the same time. In addition to roasting their own coffee, Bellatazza buys their milk, chai, chocolate and baked goods exclusively from other Bend companies. Support the eat local, drink local movement and stop in for a mug to stay or a bag to take home. At Strictly Organic, they roast the best USDA Organic Fair Trade beans available. At the Bond Street coffee shop and café, they offer a full kitchen, free wireless and bottomless drip coffee. The second espresso bar offers free wireless, handmade breakfast items and bottomless drip coffee in the heart of the Old Mill. If we missed your favorite Bend coffeeshop, let us know in the comments below!